Throughout 2018 we have been part of some great events and met a lot of people who are interested in autonomous vehicles and a more sustainable future. At some events, we participated with big projects that took months of preparation, and for other events we had a static displays of one or more of our autonomous vehicles. For us, the focus of participating in events has always been to meet people and talk about the autonomous future as we see it, as well as our role in it. We have done a little roundup of highlights from the events we’ve been a part of in 2018 and we hope to see some of you for more events in the year to come. Back in late April we had a great event in collaboration with Local Motors and the United States Ambassador to Denmark, Carla Sands. At her private residence north of Copenhagen, Rydhave, we had an exclusive event for influential politicians, business owners and opinion makers. It was an evening set up to discuss what regulators and governments can do in order to ensure an effective and seamless transition to full autonomous mobility. We brought along Olli, which is produced by Local Motors, and everyone got to peek inside and see the 3D-printed, electric and autonomous vehicle. There were lots of great questions and debates about the topic and we really felt a great interest in getting autonomous vehicles on the roads. We had a great evening and thank the Embassy and Ambassador Sands for letting us host this event and supporting our work, along with the work of Local Motors. Arma has been very busy this year! Throughout 2018 we have had a lot of events with the Autonom Shuttle, or as we like to call her, Arma. Sweden, Iceland, Norway and various parts of Denmark, have had a visit from Arma and the Autonomous Mobility team. Bringing Arma out for events has now become a bit more special to us, as we are currently operating that bus in Gothenburg, as well as having had a successful operation inside a hospital outside of Copenhagen. So when people question whether or not autonomous shuttle services are even close to being a reality - we can point to Arma and say “well that bus right there, is currently in operation by us”. CopenX, Smart Cities in Reykjavik, DTU Transport Summit, Bilernes Dag (Car Day) in Tivoli Gardens, Mölnlycke, Stavanger, Autodrive, Greater Copenhagen Summit, Kortdage and Aalborg Øst Dag - so many events with Arma over this past year and for every event we have had great experiences talking about our role in the autonomous future. Folkemødet is a meeting of people, organisations and politicians, where the island of Bornholm provides the venue for Danish politicians to debate current political issues. In 2017 we were invited by Dansk Energi (Danish Energy), to showcase our autonomous vehicle on their area of Folkemødet and it was such a great collaboration, that we were invited back again this year. We felt we should outdo what we did last year and bring something that would truly bring in the crowds. What better way to do that than a people carrying drone and a robocab? That’s exactly what we did this year and it really drew people in and sparked some great conversations about the possibilities of autonomous vehicles. We thought we might have met a lot of skepticism, but everyone had positive reactions and we has lots of requests for a test flight! It was four very exciting and busy days, under the beaming sun, and we enjoyed every bit of it - except the few of us who got a little burnt during the first day ;) Dansk Energi, Ehang and Navya were a big part of making everything come together so nicely, and it was a pleasure working with them. Folkemødet lived up to its name as the People’s Political Festival, as we met so many different types of people from all walks of life, so it was very inspiring to be a part of another Folkemøde. A worldwide congress for intelligent transport systems - the ITS World Congress took place in Copenhagen this september and we made sure to leave a mark on the congress. The City of Copenhagen had chosen us to provide a shuttle service running from Bella Center metro station, to the main entrance of the congress center. 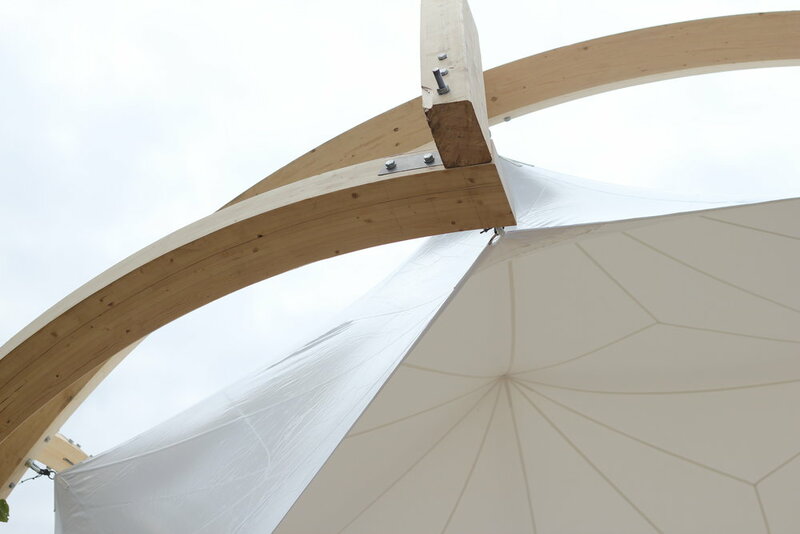 In close collaboration with the City of Copenhagen, we worked for several months to get the project up and running. To say it was an easy process, would be doing everyone involved a dishonour, as there were a lot of twists and turns in our planning process. In the end, everything came together nicely and we had four shuttles fulfilling a mobility need for guests of the congress. 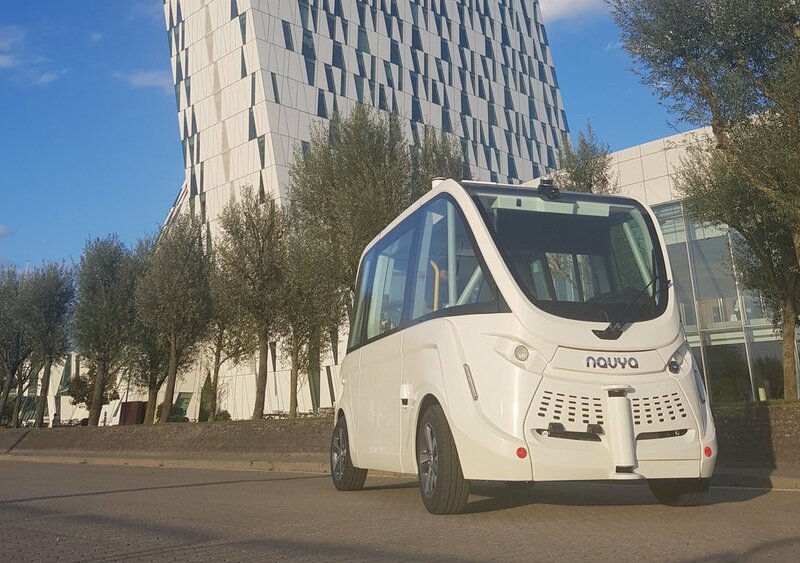 A very busy and intense five days at the congress with a successful fleet operation where industry leaders, visitors and local citizens jumped aboard the shuttle service and tried the autonomous experience. A common denominator for the events we have been a part of in the past year is that it has been really great to have discussions, as well as some laughs, about the industry as a whole and we have learned a lot from chatting to people. Gaining new perspectives and getting feedback is something we learn a lot from and we appreciate everyone who has come and had a chat with us throughout 2018. In the year to come we will, fortunately, be very busy with operations all over Scandinavia, which means that we will have less time to participate in various events. If the right event shows up, we will certainly still consider it, but expect to come and meet us out on the roads instead - and jump on one of our buses to try the autonomous future!